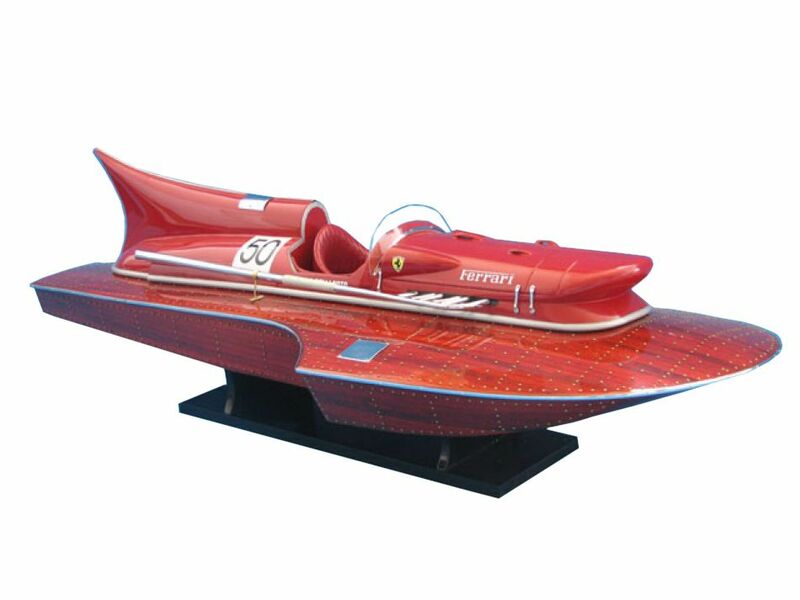 This is a high-quality, masterfully crafted Limited Edition racing boat model replica of the fast and powerful Ferrari hydroplanes racing boats. Speed boat reaches up to 20-25 mph. Battery for the boat is rechargeable. Boat comes with rechargeable battery and charger. Controls the propeller and the rudder. For 1953, Castoldi comissioned an 800kg-class three-point hydroplane hull to be built by Cantieri Timossi, and for the engine, he turned to the new up and comers of the auto racing scene Scuderia Ferrari. Loud, fast, and ridiculous for their time, the 1940s racecars were beginning to draw attention in the masses, allowing engineers to display their prowess while providing yet another means of entertainment to the wealthy and powerful. 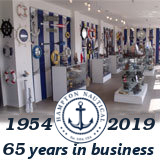 As automobile manufacturers were on the rise, the already-popular speedboat racing industry incorporated the attractive auto engines into their competition boats. The Ferrari Hydroplane was one such example. Achille Castoldi, a wealthy boat privateer, set the world speed record of 81.1 mph in the 400kg class with his boat “Arno,” a 400kg class with a Romeo type 158 engine. In 1953, Castoldi decided to concentrate on speed records and commissioned the beginning of the Ferrari Hydroplane: an 800kg class hydroplane to be built by Cantieri Timossi. For the engine he turned to Scuderia Ferrari of the auto racing industry. Ferrari supplied Castoldi with a ridiculous type 375 V-12 Grand Prix Engine, the same engine that powered the Ferrari cars of the early 1950s. At a savage 385 horsepower, the engine of the Ferrari Hydroplane could spin the propeller at 10,000 RPM! Castoldi destroyed both the competition, and his old record, setting a two-way top speed record of 140.74 mph.